BrainWorking Recursive Technique® was created in 2011 by Terence Watts, a therapist, author of many books and training courses and principal of the Essex Institute in Essex, England. Like many great ideas it was born out of a moment of inspiration while reading about some experiments carried out in 1983 which appeared to show that decisions were made and acted upon by our mental processes before we become consciously aware of them. Why we sometimes can’t stop ourselves from doing things. As Terence was reading about the 1983 experiments, the key to the entire puzzle exploded into his mind. He began working on the project immediately and it became evident almost immediately that here was something very special indeed, something that worked in a way that was different and more effective than ever before. After extensive testing, a training programme was implemented and rapidly gained the reputation among many therapists as a ‘must have’ process for working with all manner of issues. BWRT are a Bone Fide institute, having been given permission by the UK Secretary of State to use the designation, as a result of the research and scientific base of the BWRT process. By now I imagine you may have more than a few questions about BWRT. Well, here are a few questions with answers to them below. 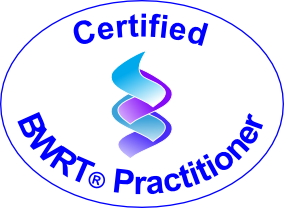 How is BWRT different from hypnotherapy? Unlike hypnosis, BWRT does not involve being in a relaxed trance state, listening to hypnotherapeutic stories and suggestions. Instead, I will calmly guide you through a very innovative process wherein you will begin to respond differently to events and emotions which previously were difficult for you. details of my problem in a BWRT session? What kinds of issues is BWRT effective in helping? BWRT has already proven to be a highly effective tool for confidence, weight control, anxiety issues and depression, PTSD, phobias, procrastination, performance anxiety, fear of failure and ADHD, to name but a few. Call Loving Kindness Hypnosis at 503-289-3614 to find out if this program is right for you.